Skyfall’s climatic scene, with Daniel Craig’s James Bond making a last stand against Javier Bardem’s villain Silva at 007’s family home, was compared by fans and critics to Sam Peckinpah’s Straw Dogs in 1971 or the 1990 comedy Home Alone. But there may be a better comparison. The 1968 I Spy episode Home to Judgment at times almost seems like a blueprint for Skyfall. Jaded spy Kelly Robinson (Robert Culp), along with his partner Alexander Scott (Bill Cosby), are on the run after a mission has gone bad. They end up at the farm where Kelly spent some summers as a youth. Kelly hasn’t been there for 27 years and says he can’t even remember the voices of his Uncle Harry and Aunt Alta, who still tend the farm. The agents have no choice but to hide out there. Their mission was to identify a group of saboteurs, who have covers as businessmen. But the saboteurs figured out who Kelly and Scott were and are hunting the agents. Meanwhile, “the department” told the agents if they were discovered, they’d have to get out of it on their own, there would be no backup. All of this sets up a kill-or-be-killed scenario. Kelly is particularly guilty about involving his relatives but it doesn’t matter. The saboteurs are simply going to kill everyone. Eventually, after Kelly finally tells Harry and Alta who he really is, the agents booby trap the farmhouse with everyday objects (stretching that definition a bit, such as having some old blasting caps, plus a few sticks of dynamite, which the saboteurs had planted in Harry’s car). Harry has his own rifle and an older rifle that Kelly shot as a boy. The latter doesn’t have much stopping power but Kelly fires it to set off some of the booby traps now in the house. Harry (Will Geer) is an ornery old cuss, not unlike Albert Finney’s Kincade. Harry was also a deputy sheriff at one time, so he’s not totally inexperienced at this sort of thing. Alta (Una Merkel) doesn’t have any experience at all, but still helps with the booby traps, not unlike Judi Dench’s M in Skyfall. 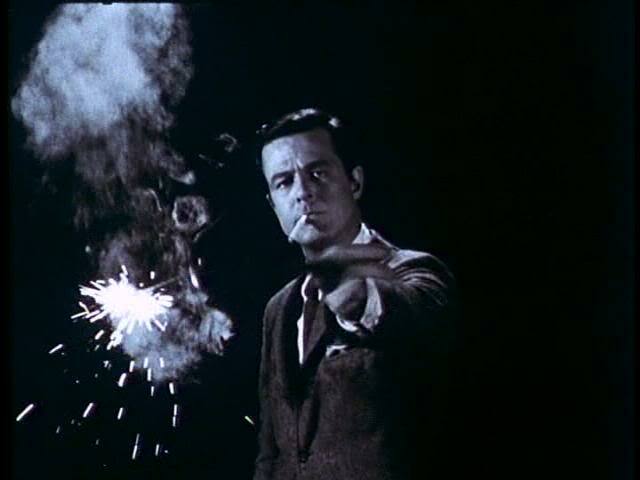 The story was the seventh, and final, I Spy episode written by Culp. The actor didn’t have a good feeling about the show’s pilot and proceeded to write four scripts for the first season. One of those stories (So Long, Patrick Henry) would be the first aired by NBC while the pilot wouldn’t be shown until about midway through the first season. SPOILERS: Just like the headline says this has SPOILERS. Stop reading now if you haven’t seen the movie. Here’s our final checklist concerning the accuracy of various reports about Skyfall dating back as far back as 2010. Sources varied from U.K. tabloids with a tawdry reputation to trade publications and entertainment news Web sites. Ben Whishaw would be the new Q: Reported by the BBC in 2011, citing Whishaw’s agent. Formally announced in July 2012. Check. Daniel Craig proclaimed, “Agents are liars,” when asked about reports concerning Whishaw playing Q prior to the July announcement. Not in this case. Skyfall is the title: First reported by the Fusible Web site before the title was confirmed in November 2011. Check. Ralph Fiennes is in the cast: reported by the Daily Mail in February 2011 and Variety later. Check. 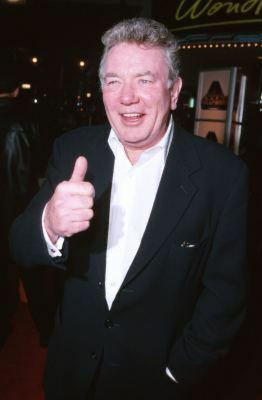 Albert Finney is in the cast: reported in the Daily Mail on Oct. 28, 2011. Check. Naomie Harris is in the cast: Reported in June 2011 by the now-defunct News of the World. Check. Berenice Marlohe is the cast: Reported Sept. 29, 2011, by a Web site called Twitch. Check. Bond will have a beard during at least part of Skyfall: reported by the Sun newspaper in the U.K. on Oct. 21, 2011. Check. 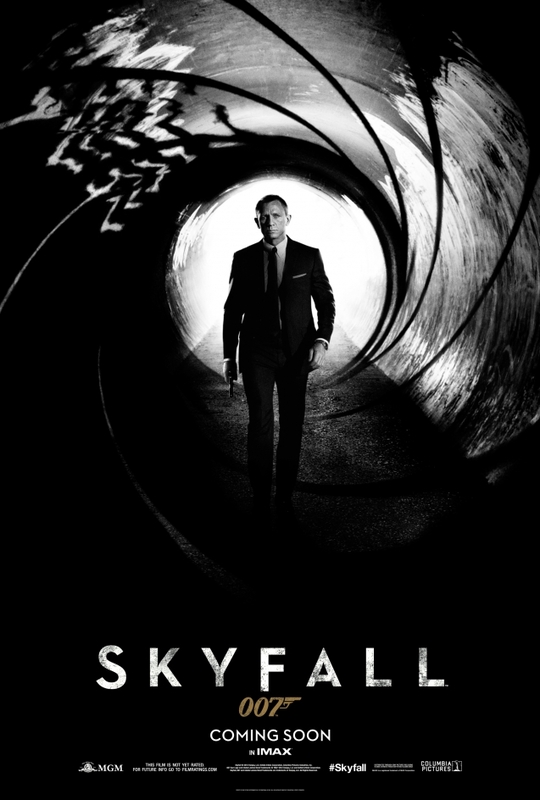 Skyfall will have November 2012 release date: Reported by Nikke Finke’s Deadline entertainment news Web site in late 2010, before the Skyfall title was chosen. Confirmed in news release from Metro-Goldwyn-Mayer and Eon Productions in early 2011. Later release dated tweaked so that U.K. release will be in October 2012, while the November 2012 date still applies to the U.S. Check. Javier Bardem offered a role in Skyfall: First reported by by the Deadline Web site in January 2011. Check. Sam Mendes being considered to direct Skyfall: Reported by the Deadline Web site in January 2010. Check. Mendes denied the news in an article in The Wall Street Journal DAYS after his publicist confirmed talks were underway. Skyfall the last appearance for Judi Dench’s M: Reported by the BEST FOR FILM WEB SITE in April 2012. Check. With Skyfall coming out in a few months, we thought we’d update our Oct. 30, 2011, post concerning the accuracy of reports over the past 18 months concerning the 23rd James Bond movie. There are some fans who maintain nothing is official until something is announced. Actually, something like an actor agreeing to play a role is official when he or she has signed a contract (a legal obligation, thus official). An announcement is the end of the process and may not occur (as in the case of our first example below) until well after the actor has completed work. Also, some of the newspapers that originated these reports don’t have the greatest reputation, including being implicated in the U.K. phone-hacking scandal. As a result, there is reason for fans to be skeptical. Still, many of the reports were eventually proven to be accurate — too many to be attributed to wild guessing. So at least some genuine information has been circulating before formal announcements were made. Ben Whishaw would be the new Q: Reported by the BBC last year, citing Whishaw’s agent. Formally announced this week. Check. Daniel Craig proclaimed, “Agents are liars,” when asked about reports concerning Whishaw playing Q. Not in this case. Why an official announcement now? One possibility: a new Skyfall trailer was unveiled by Imax at the San Diego comic book convention on July 12. The trailer includes an exchange between Craig’s Bond and Whishaw’s Q.
Skyfall is the title: First reported by the Fusible Web site. Check. Ralph Fiennes is in the cast: reported by the Daily Mail in February and Variety later. Check. Albert Finney is in the cast: reported in the Daily Mail on Oct. 28. Check. Berenice Marlohe is the cast: Reported by a Web site called Twitch. Check. Bond will have a beard during at least part of Skyfall: reported by the Sun newspaper in the U.K. on Oct. 21. Check. 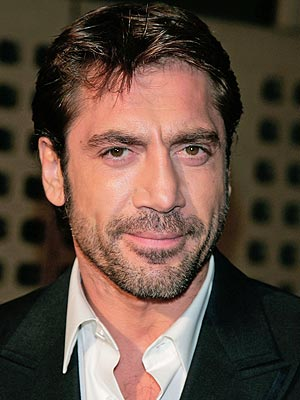 Javier Bardem offered a role in Skyfall: First reported by by the Deadline Web site. Check. Sam Mendes being considered to direct Skyfall: Reported by the Deadline Web site in January 2010. Check. Mendes denied the news in an article in The Wall Street Journal afterDAYS after his publicist confirmed talks were underway. There are two major tidbits yet to be confirmed. One concerns the departure of a series character (SPOILER, don’t click if you don’t want to know). The other, an idea pushed by the Daily Mail newspaper in the U.K. is that Naomie Harris’s agent Eve character will eventually turn out to be Miss Moneypenny (CLICK HERE for one of multiple examples). At this point, both remain to be seen. Given the fact Mendes denied he was in talks to direct Skyfall (while his publicist was saying otherwise) and Craig denied Whishaw was going to play Q (even as Mendes was confirming it), no official statements can be taken at face value at the moment. Or, to use the words of Eon co-boss Barbara Broccoli, “Nothing has been announced.” But those words, by themselves, don’t mean they’re not true. We’ll just have to see the movie in the fall to be sure. Skyfall wrapped up production this week, with the official 007 Twitter account uploading one last clapperboard shot as the second unit finished work in Turkey. As the movie enters the editing and post-production phase, we had a few questions. 001. Will there be a gunbarrel at the start of the movie? For all of the talking points from Daniel Craig & Co. about how Skyfall will be a classic James Bond movie, “Bond with a capital B,” etc., the subject of the traditional gunbarrel logo (Bond as seen from inside a killer’s gunbarrel, the agent turning and firing, etc.) never seemed to come up. The gunbarrel was used in Casino Royale and Quantum of Solace but not at the start of either movie. The gunbarrel is a prominent part of the teaser poster but that’s not a guarantee it will be used at the very start of the film (i.e., the traditional or classic way). 002. What is Thomas Newman going to do musically with the film? Newman is the first new composer to the series in 15 years. 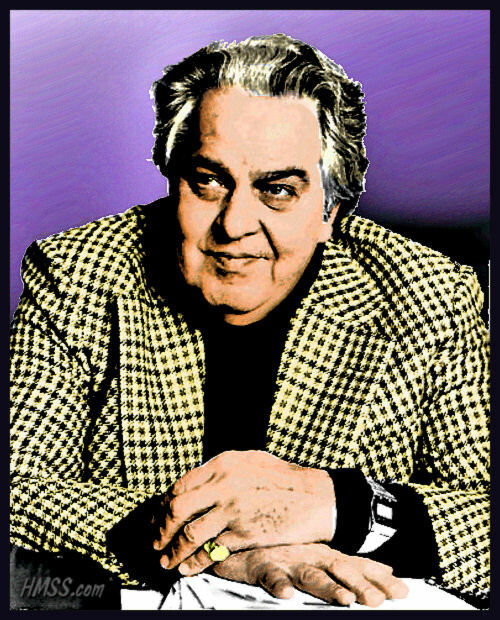 His track record consists mostly of dramas, including some with Skyfall director Sam Mendes. The composer recently said he’s “just brainstorming right now” on the Skyfall score. 003. Was the hiring of Roger Deakins as director of photography worth all the fuss? Based on the teaser trailer, a qualified yes. There were some striking images and colors. (One of our readers disagreed, so this is not a unanimous opinion.) Still, it should be noted that You Only Live Twice was photographed by Freddie Young, one of the best British directors of photography ever, and Twice rarely shows up in lists of best 007 movies. Photography is obviously important (it’s a movie, afterall) but you still need an engrossing story. 004. Will Skyfall really have more humor than recent Bond films? The notion that Skyfall will have a lighter tone has been one of the most frequent talking points during production. Whether that’s true remains to be seen. The teaser trailer didn’t have a hint of humor. The final trailer to the Christopher Nolan-directed The Dark Knight Rises had more humor (i.e. one joke) than the Skyfall teaser trailer. 005. How much Ian Fleming content will Skyfall have? Based on some of the spoilers that have come out, noticeably more than, say, Quantum of Solace. To put it in a non-spoiler way, screenwriters Neal Purvis, Robert Wade and John Logan have tapped into Chapter 21 of Fleming’s 1964 You Only Live Twice novel, where the author presented background about his hero. The Skyfall principals really only talked about Fleming in detail once, at an April 29 news conference in Turkey. Until then, the subject hadn’t come up very much. It remains to be seen whether the movie incorporates more Fleming material or mood. 006. Was hiring of Javier Bardem, Ralph Fiennes and Albert Finney worth all the fuss? There’s absolutely no way to know for sure at this point. The teaser trailer doesn’t provide an answer. An anxious Fiennes looks at Judi Dench’s M and there’s a silouhette of what may be Bardem’s villain. Bardem and Fiennes did some media interviews but didn’t say much. Some fans (as in this this HMSS editorial) have said it’s the best cast ever for a Bond movie. We won’t know until the fall whether that’s the case of if Skyfall becomes another example of The Missouri Breaks Syndrome. 007. So are you optimistic or pessimistic? We’re trying to avoid the extremes. Some fans argue you can’t criticize the movie until you see it. OK, but you can’t assume it’s great until you see it, either. They say things come in threes. So it is with “security breaches” with Skyfall, the 23rd James Bond movie. First, it was call sheets and related materials that contained spoilers such as character names ended up on fan Web sites James Bond Brasil and 007 Collector. Then a blogger, who primarily takes nature photos, comes across Skyfall filming at an exterior set that’s supposed to be 007’s ancestral home and some more information about the film comes out. The trio avoided security guards by sneaking through alleys and climbed over a wire fence into the train station. There, they crawled under train cars and reached the repair depot, where they grabbed off-duty workers’ overalls and helmets. The story says one of the three was searched, but hid his cell phone (with its camera) in his underwear. To see a gallery of the photos shot, CLICK HERE. The main reason this sort of thing gets attention is because Eon Productions has been more secretive than usual, such as not providing the names of characters played by Javier Bardem, Ralph Fiennes and Albert Finney. Thus, when some information does spill out, it gets played up. In the absence of traditional coverage, there’s a demand for news (with those wanting to remain “spoiler free” straining to avoid it) and these non-traditional methods are filling it. Only two more months of filming to go. Will any more leaks occur?